Today I am sharing my CHALLENGE CARD! This week's challenge is FLOWERS! I tried to use flowers on every part of my card! Beverly has such a beautiful variety of flower papers,3-D Art, stamps, dies and flowers - so much to choose from!! I hope you will join us. You can see the entire Design Team's challenge cards HERE. Here are the details for my card. I created a Criss Cross Card and 2 sheets of light blue cardstock. Each Cardstock measures 5 1/2" x 8 1/2". I layered the Bo Bunny Gabrielle Collection Patterned Papers. on the blue card stock. Using the JustRite Botanical Butterflies set I stamped in Chocolate Ink and colored with Copic Colors Y21, Y11, Y26, G21, G24, YG17. I used the following dies and cut them out using my Grand Calibur in brown, pale yellow and vanilla cardstock. The Large Circles Spellbinders, Blossoms Three,and Cheery Lynn Designs Fanciful Flourish. Using Zots Pop Dots, I added dimension by putting the dots between the layers of chocolate and vanilla cardstock. Once everything is adhered together, I added some Gold Stickles to jazz it up a bit more. Using Mini Glue Dots, I adhered the Tea Roses Latte flower and added a few Wild Orchid Flowers and leaves to the side to create more balance. I created a pocket for my card with Celery Cardstock measuring at 3 3/4" x 5" and added a White layer measuring 3 1/2" x 4 3/4". I stamped the flower Spring on the corners and colored them with B21, G21 Copic Markers. Using a Rounded Tab Punch, I added a pull tab and attached it to the top portion using a 1/16th" hole punch and gold brad. To go along with our current challenge - FLOWERS - all pre-made flowers are 15% off this week if you enter promo code FLOWERS (no spaces) at check out. You can see the flowers here! Stampavie – A HUGE Stampavie order arrived this week! Most are new releases from the 2012 Winter CHA, but there are few older ones as well. Cute is timeless, don’t you think?? There are lots of Sarah Kay, Tina Wenke, Penny Johnson, a Mo Manning design and a Helz Cuppleditch design. There are some sentiment sets too! You can see them all here. 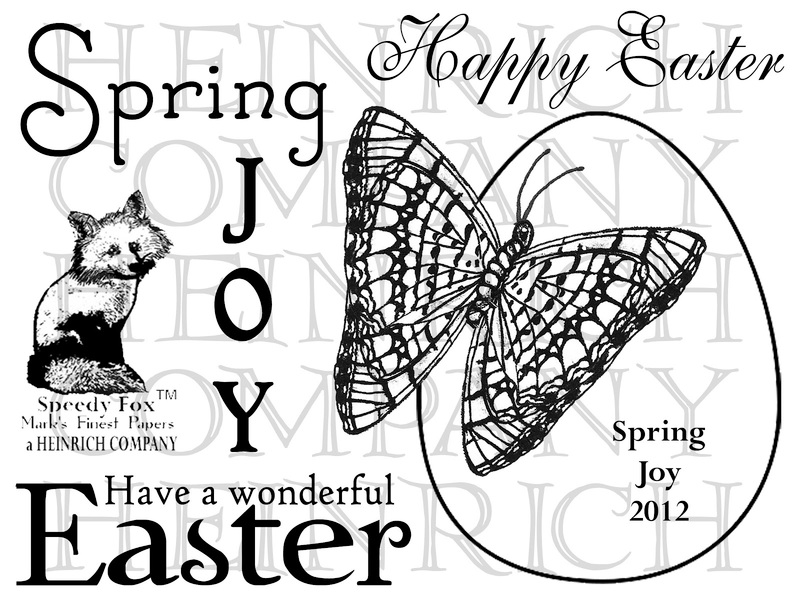 * Cheery Lynn Designs – Lace deco corners and the Mini Flourish One from the February release arrived today!! A couple of the Lace corners are already almost sold out for this shipment, so get yours now! * Tim Holtz Distress Ink Markers are still on pre-order pricing for a limited time only! I hope you enjoyed my project today! Please join us in our challenge, we would love to see you participate! Thank you for stopping by! Hello Everyone - Are you as ready for some sunshine as I am? With a gray day here looming ahead in Wisconsin, all I can say is bring on the sunshine! So if we can't have the real thing, let's make some cards that will make us smile! This Glowworm (1044D) is just the stamp to do it. Add to that this FUN Glowworm sentiment (1048G) and you are sure to bring out a giggle in someone. I stamped the Fly Away Hearts and Flowers (359P) and the Glowworm sentiment (1048G) in Versamark ink and sprinkles White Embossing Powder over it and heat embossed the image. I used Prismacolor Pencils and a Signo White Gel Pen to color in the flowers and hearts. I stamped the Glowworm (1044D) in Tuxedo Black Memento Ink and color him using Prismacolor Pencils. I cut him out and popped him up with Glue Dots. I added a strip of white card stock along the top and White Satin Ribbon along the bottom. I used the Viva Pearl Pen Clear to add the three dots in the corner. I hope you enjoyed my card today. Have an AMAZING day! Thank you for stopping by! How do you like the larger font? Take some time to be inspired by the Sugar Babies creations: Cathy McCauley, Monika Davis, Janice Melton, Kim O'Connell, Shannon White, Shelby Goolsby, and Wendy Ramlakhan. I hope you will join us to play along! Have a great weekend! Hello Friends!!! Welcome to my blog today!! Here in Wisconsin we have had a VERY MILD winter and I have to say, I am SOOOOO EXCITED because we woke up to SNOW!!! I used the Technique Junkie Newsletter and the TRAPEZE CARD Technique - I LOVE IT! Although I am not much a sew-er - and this took a little patience, I still like it and will make another card with this technique! Thanks for stopping by! Come back tomorrow for the Sweet Stop Sketch! Have a wonderful day!! COME JOIN THE SWAG BUCKS PARTY!!! Do you use SWAGBUCKS? If not, now is a great time to join! You earn Swagbucks and can earn free gift cards, get great deals on products you would normally buy elsewhere! Come join the fun! This is an opportunity to earn EXTRA SWAG BUCK! I've RSVP'd to the Swagbucks Birthday Bash and entered to win $1000 - join me for your chance to win by clicking HERE! 1. The Birthday Bash everyone has been RSVPing for is going to be a 24-hr Team Challenge. That means every Swag Buck they earn on that day from Search, Special Offers/Daily Deals, SBTV, Surverys and Tasks will also count toward their party's total. The party with the most SB earned will give out a 10 Swag Buck bonus to each member who contributes; the other party will get a bonus of 5 Swag Bucks each. We're also awarding the top earner from each party with a bonus of 100 Swag Bucks and the title of Party Animal! By now, if you're attending one of the parties you've noticed the giant pink and green puzzle. Behind that puzzle is the picture of your party. On the 27th, we'll reveal one piece for you, but to reveal the rest, your party has to collectively hit a series of earning goals, one for each category. When you hit the goal, a piece of the picture is revealed! There will be meters to help you track your team's progress. If you reveal the whole picture before midnight, ALL PARTY BONUSES ARE DOUBLED! 2. We're having an all-day Swag Code extravaganza on Monday - 130 Swag Bucks in codes will be given out over the course of 24 hours, meaning everyone from night owls to early risers will be able to get Swag Codes! Hello Everyone! I am suffering from too much fun this weekend syndrome! lol We had our monthly Game Night at our house with 18 people over for dinner and games, then Sunday I had my Stamp Class I teach each month at my house. It was LOTS of fun, however, I am finding I don't bounce back as quickly now that I am in my 40's! Before I tell you about this card, I want to tell you about this new FABULOUS CLEANER I found over at Susana's Custom Art and Card Design! It is called BEST CLEANER EVER. I want you to know after using it myself, it really is!!! Check out this video here about all that it does! Here is my testimony - I had SEVERAL blocks with caked and layered on Staz On Ink. I misted a small amount on my blocks and took a rag and it wiped away the Staz On. The one block with A LOT of Staz On, on it, took a little elbow grease and another napkin to clean only because the other one had too much ink on it from cleaning it off. I had the Stampabilities Acrylic Blocks with the guide lines on it and the BEST CLEANER EVER wiped those lines off! I have a stain on my sweat shirt from Staz On ink from awhile ago. I think I will try that on this as well and take pictures!!! Todays card uses the Technique Junkie Newsletter technique from the February/ March 2012 issue called the Nested Nesties. I started by using the Fleur De Lis Spellbinder Die and the Nestabilities Classic Large Circles Die embedded in the center. The background paper is from Basic Grey and is the Wassail line from 2 years ago. Susana has a FABULOUS selection of great papers in her store - you can check them out HERE. I added some Rose ribbon to the panel along the bottom and adhered Dew Drops to draw attention to the frame. The card stock I used was Regal Rose (5 1/2" x 8 1/2") and Vanilla (4" x 5 1/4"). I used the Martha Stewart punch along the bottom portion of the Wassail paper. I hope you enjoyed my project today! Thank you for stopping by! Have a great day! Hello Everyone, I hope you had a FANTASTIC weekend! Ours was VERY busy, but filled with LOTS of blessings. 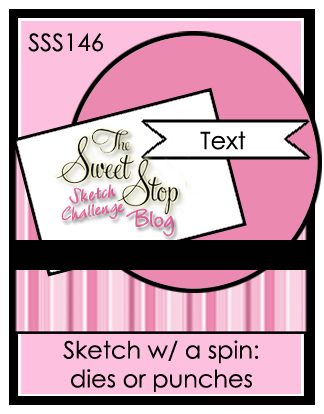 Today I am sharing my CHALLENGE CARD for the Brand New Challenge over at the Classy Cards & Such Blog! This week's challenge is ANYTHING GOES! I hope you will join us. You can see the entire Design Team's challenge cards HERE. Here are the details for my card. It measures 4 1/2" x 6 1/2" using green Core'dinations cardstock, layered with peach Core'dinations and soft yellow cardstock that is smooth. I ran it through with a Cuttlebug folder called Dots Embossing Folder. I used the Blossom Three die and cut out four layers using the varied sizes. Using the Crafter's Tools, I curled the edges and then sponged them using peach ink. I added foam pads to add a bit of dimension between the layers. I cut out the Fanciful Flourish in the same green Core'dinations cardstock. Using the Viva Pearl Pen in Ice White, I added some small dots in the center of the flower and along the bottom of the card. 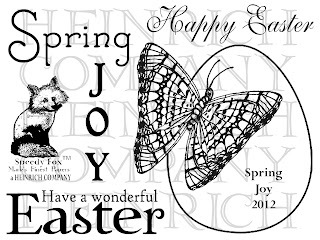 I stamped the sentiment from the Just Rite Botanical Butterflies stamp set on to the Ribbon Banners Die. I hope you enjoyed my project today! Thank you for stopping by! I cut out the flower using the Blossoms Three Die using the Bazzill Bling Card stock. The Patterned Paper is Basic Grey Out of Print. I used a Black and White polka Dot ribbon to tie the bow. I added some black pearls using my FAVORITE Viva Pearl Pens! I added some white dot trim using a Sakura White gel Pen. Classy Cards 'n Such has a NEW Challenge too! The theme this week is ANYTHING GOES! The only rule is you have to use at least ONE product that Beverly sells in the store! Hello! 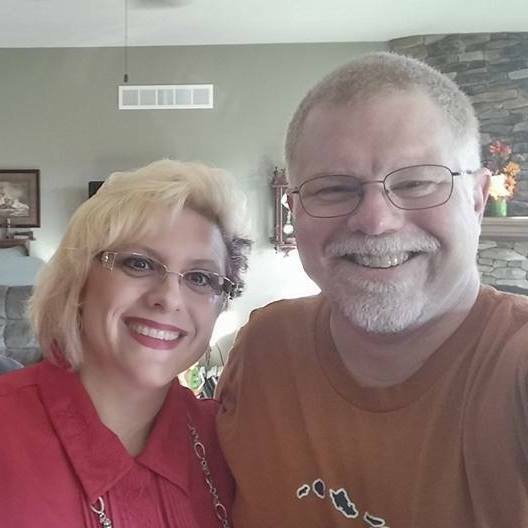 Welcome to Mark's Finest Papers a Heinrich Company's February Blog Hop! Please hop along with us! You have a chance to win one of the above stamp sets! Just comment on the following blogs (don't forget this one), each day for more chances to win! (You do NOT have to comment on all the blogs each day! The names are drawn randomly!) All four winners will be announced on February 18, 2012 on the Mark's Finest Papers blog. You can go back and comment if you missed a day. (HINT: The more you comment, the more chances you have to win and comments on the MFP blog count twice!) The deadline for commenting is 11PM EST on Friday February 17, 2012. Our new promotion begins this month! With the purchase of the February New Release Package, you will receive this stamp set for FREE! Here are the details to my project: I used the technique from Technique Junkie Newsletter called Curled Corners. Be sure to take some time to check out the talented Design Teams projects! Karen K. - GO HERE NEXT! Check out the FABULOUS projects from the team! Hello Everyone! I have TWO projects today! Please scroll down for the Mark's Finest Papers Blog Hop project. Now for my FUN DRS Designs Project! On the white card stock, I stamped the Dear Housework Greeting repeatedly using a turquoise marker to color the image. I then ran it through my Big Shot using a floral embossing folder. I layered it on black card stock. I stamped the Drama Mama greeting on a Light turquoise card stock and layered that on black card stock. The dark turquoise card stock measures 8 1/2" x 5 1/2". I used Viva Pearl Pen in Black to add the three dots along the bottom. Using Memento Black Ink, I stamped Josephine the Bold and colored her up using Copic Markers. I finished the card by tying a bow using Stitched Black Ribbon. I hope you enjoyed my project today! Thank you for stopping by to look! I used the Technique Junkie Newsletter CD called Fancy Folds and Motions (this is the first cd, I collaborated with Pat Huntoon on) This technique is called the Marvelous Marquee. I stamped the background with stamps from the set. I used Pink Pirqouette Cardstock, Black Cardstock from MFP and White Storn Cardstock. The patterned paper is Bittersweet Basic Grey.I used the luscious Rose Satin Ribbon and Mini Pink/ Purple Roses attached with Mini Glue Dots.